great time on the OC&T. Jellybean counting contest. Children 12 & under receive a small gift. 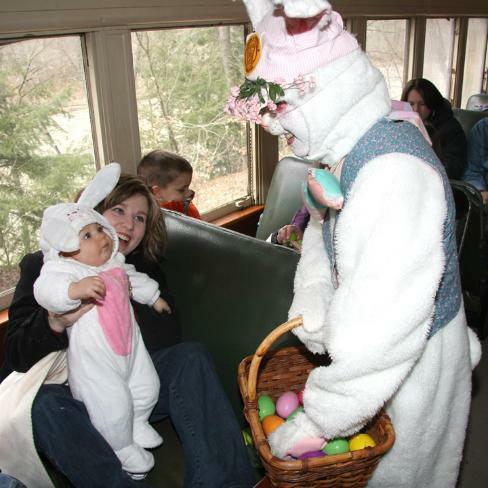 Snap a pic of your kids with Peter Cottontail! Click here for the difference between First Class and Coach. Reservations are recommended as we have sold out for this event in the past. Call 814-676-1733 or click here to print reservation form. Your arrival time needs to be 1 hour prior to departure for boarding.